The FCC is mistaken—and democracy is threatened—when commissioners fail to embrace their authority to protect a free and open Internet. When Barack Obama was running for president in 2007, he earned a great deal of credibility with tech-savvy voters by expressing support for net neutrality that was rooted in an understanding that this issue raises essential questions about the future of open, free and democratic communications in America. Obama “got” that net neutrality represented an Internet-age equivalent of the First Amendment—a guarantee of equal treatment for all content, as opposed to special rights to speed and quality of service for the powerful business and political elites that can buy an advantage. Candidate Obama was exactly right. The president expressed that confidence in Wheeler, even as concerns were raised about an appointee who had previously worked as a cable and wireless industry lobbyist. Although the plan would reinstate the agency’s prohibition against Internet providers from blocking any legal content, it would allow phone and cable companies to charge Netflix and other companies to put their content in a super-fast lane on the information superhighway. Rae’s point is an important one. The process is just beginning. It can be influenced by content creators, consumers and citizen activists who understand that in this age of digital communications a broken Internet will lead to a broken democracy. It can even be influenced by the president and members of Congress, who ought to speak up, loudly, in favor of the right approach to net neutrality. 1. Recognize that there is a right response to court rulings that have rejected the complex and ill-thought approaches that the FCC has up to now taken with regard to net neutrality. The right response is to reclassify broadband Internet access as a telecommunications service that can be regulated in the public interest. The approach that Wheeler is now proposing continues down the wrong course, and actually veers into even more dangerous territory with its outline for a pay-to-play "fast lane" on the Internet. But this proposal can be altered or rejected by the full commission. In other words, the reclassification option can still be pursued. 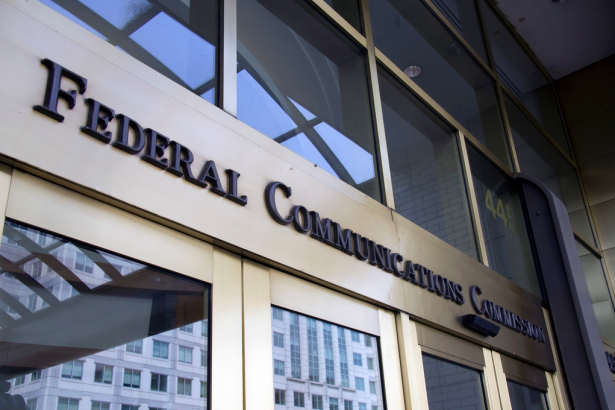 Dozens of public interest groups, ranging from the American Civil Liberties Union to the Government Accountability Project to the PEN American Center to Fairness & Accuracy In Reporting and the National Hispanic Media Coalition have urged the FCC to do the right thing. The “Save the Internet” coalition has a track record of rapidly mobilizing Americans to thwart wrongheaded moves by the FCC. Sanders is right about that—especially when he recognizes the vital link between technology and democracy. A free and open Internet is essential to modern democracy. But that freedom and openness will be maintained only if Americans use their great democratic voice to demand it. There is a way to save net neutrality. And if ever there was a time for citizens to urge the FCC to go the right way, this is it. John Nichols is the author, with Robert W. McChesney, of Dollarocracy: How the Money and Media Election Complex is Destroying America (Nation Books), and a co-founder (with McChesney) of Free Press.